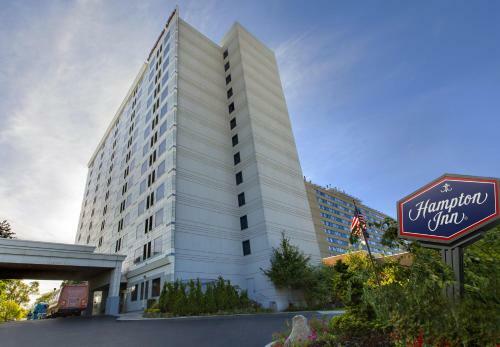 This Queens hotel is within 10 minutes' drive of JFK International Airport. It offers a free airport transfer service, a hot daily breakfast and Wi-Fi. 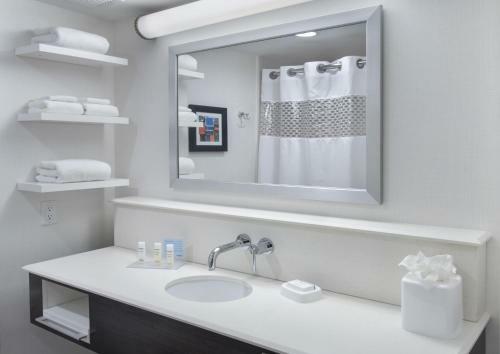 Hampton Inn NY-JFK Jamaica-Queens features cable TV and a coffee maker in every guest room. 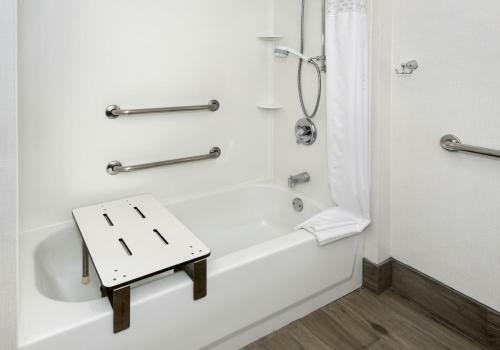 Rooms are also equipped with a spacious work desk and bath amenities. Guests can use the gym at the Queens Hampton Inn. The hotel also offers a 24-hour front desk. The Aqueduct Race Track is 5 minutes' drive from the Hampton Inn near JFK. St. John's University Queens Campus is about 8 km away. Upon check-in photo identification and credit card is required. All special requests are subject to availability upon check-in. Special requests cannot be guaranteed and may incur additional charges. Complimentary 24-hour shuttle service is provided to and from the John F. Kennedy International Airport. 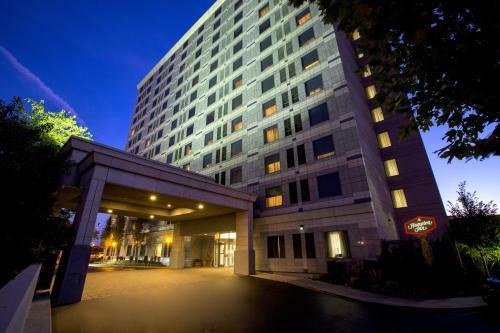 For arriving guests, the pick up location is Federal Circle Station (can be reached using the Air Train) and guests will have to contact the property after reaching the station. For guests leaving for the Airport, a shuttle leaves the hotel every half hour from 4:00 to 14:00 and every hour from 14:00 to 4:00. Guests are required to show a photo identification and credit card upon check-in. Please note that all Special Requests are subject to availability and additional charges may apply. 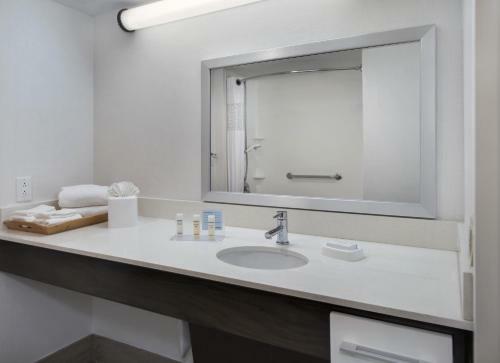 the hotel Hampton Inn NY-JFK Jamaica-Queens so we can give you detailed rates for the rooms in the desired period.